Our beloved Mannu slipped near Vashi while traveling from Pune to Mumbai on bike resulting in serious head injury. 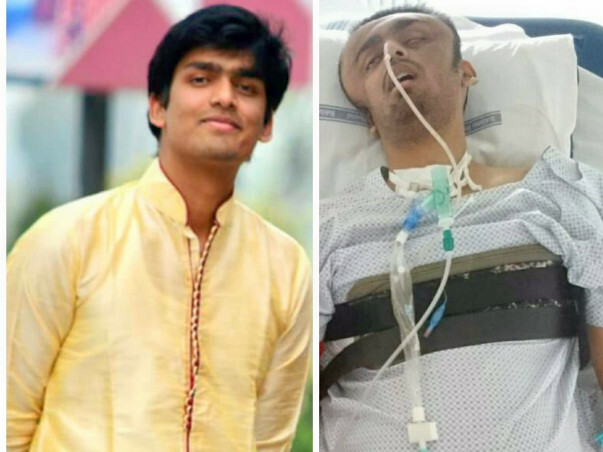 He has undergone brain surgery and his hospital treatment could take several months. He is in Coma since 3rd December 2017. 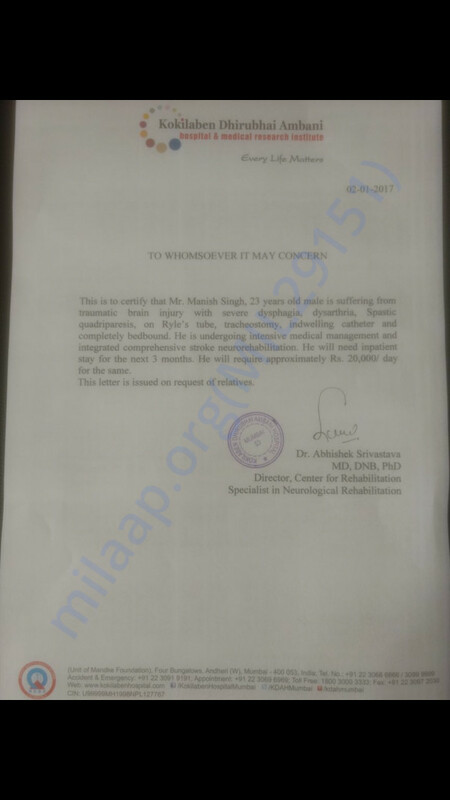 He was admitted to MGM hospital Vashi (Mumbai) for a month and later was shifted to Kokilaben Hospital, Mumbai. He will turn 24 years on 12th February 2018. 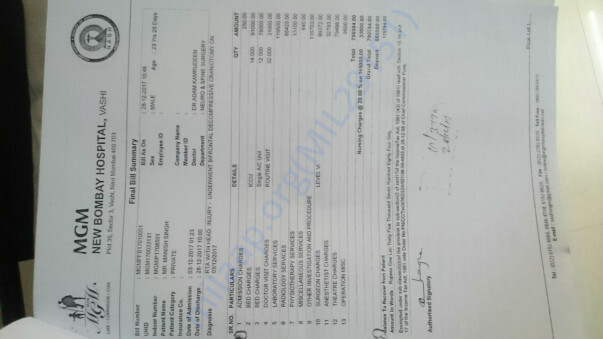 The family has spent around 17 lacs. 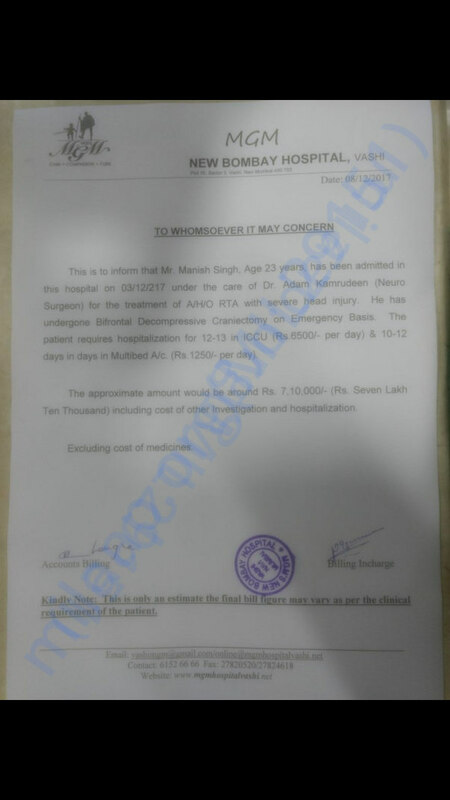 The treatment expenses are expected to be around 40 lacs since he is waiting for another brain surgery. Please help us bring smiles back on his face.